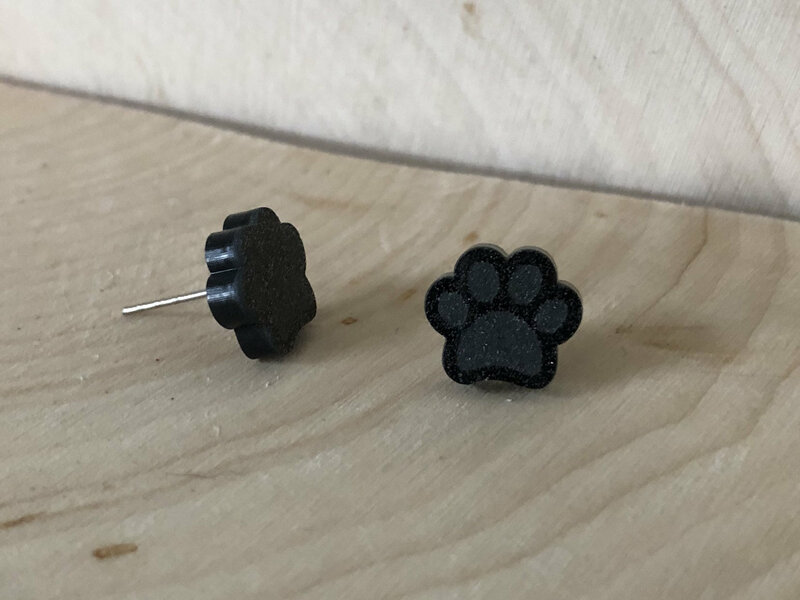 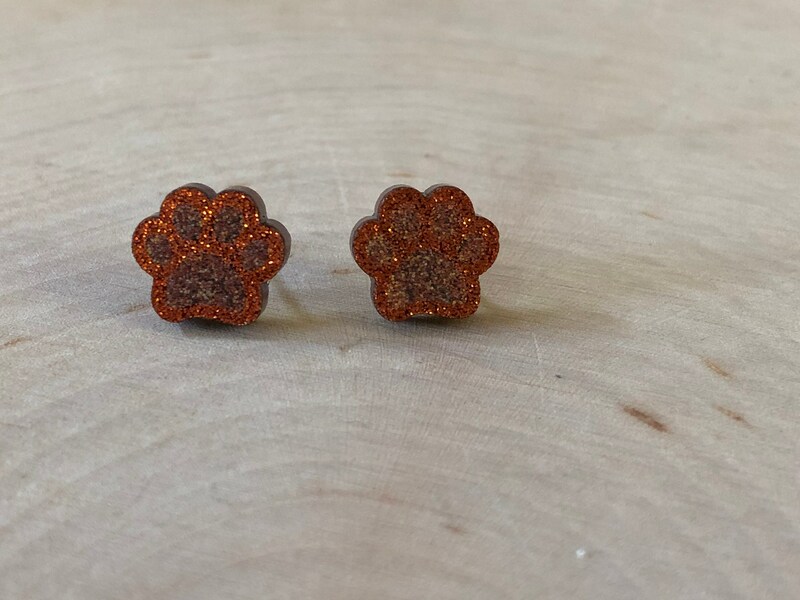 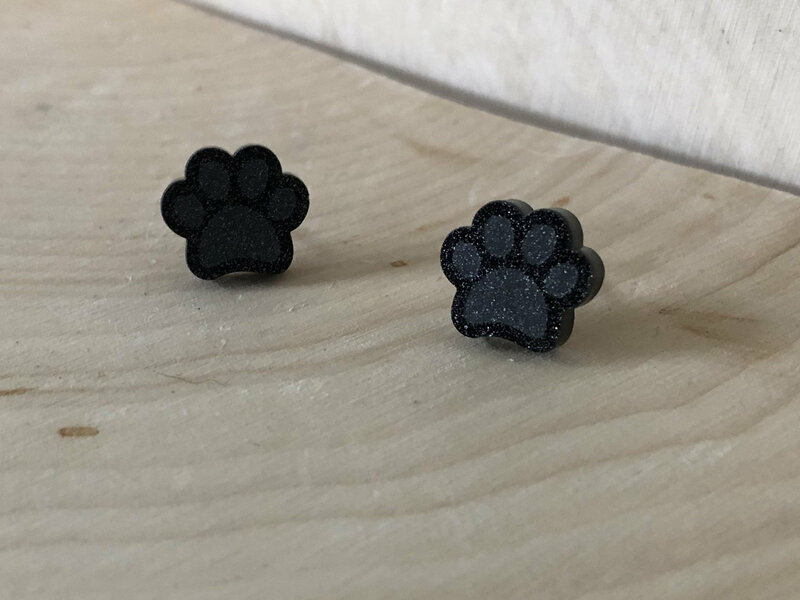 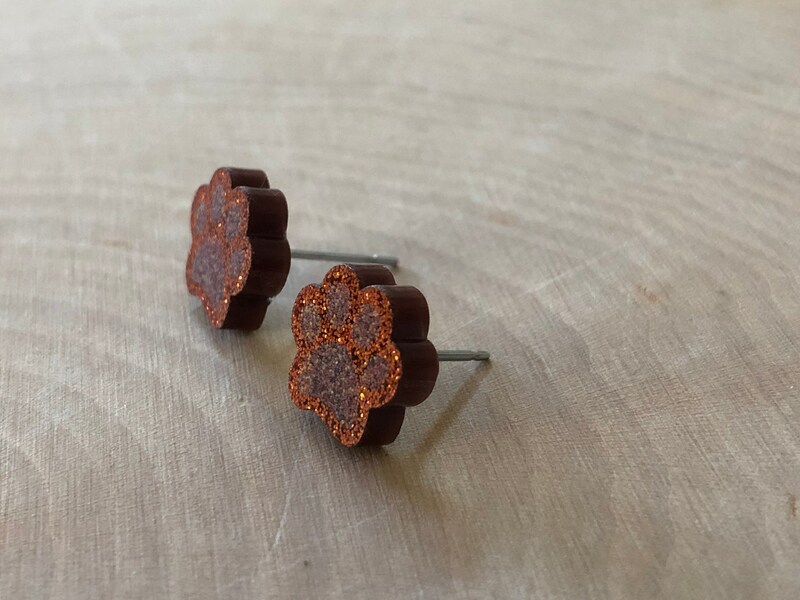 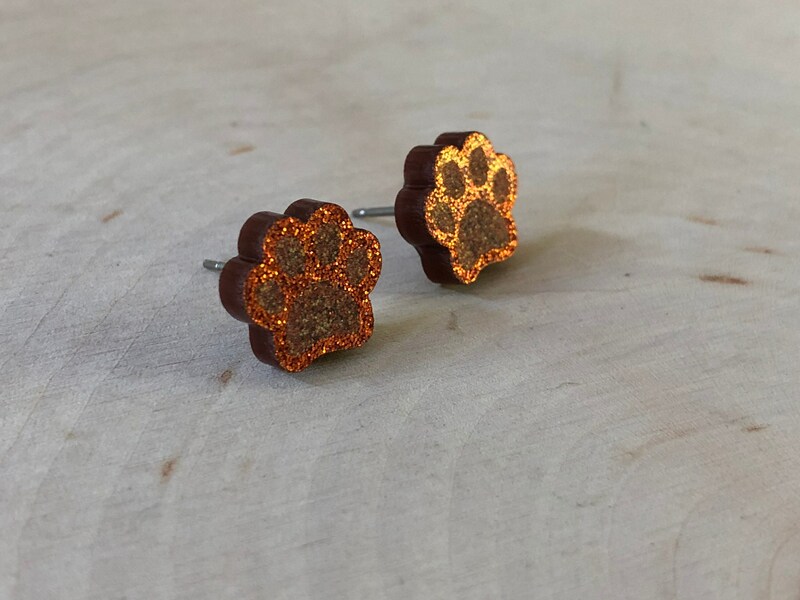 Brown/orange glittery acrylic Paws on stainless steel posts. 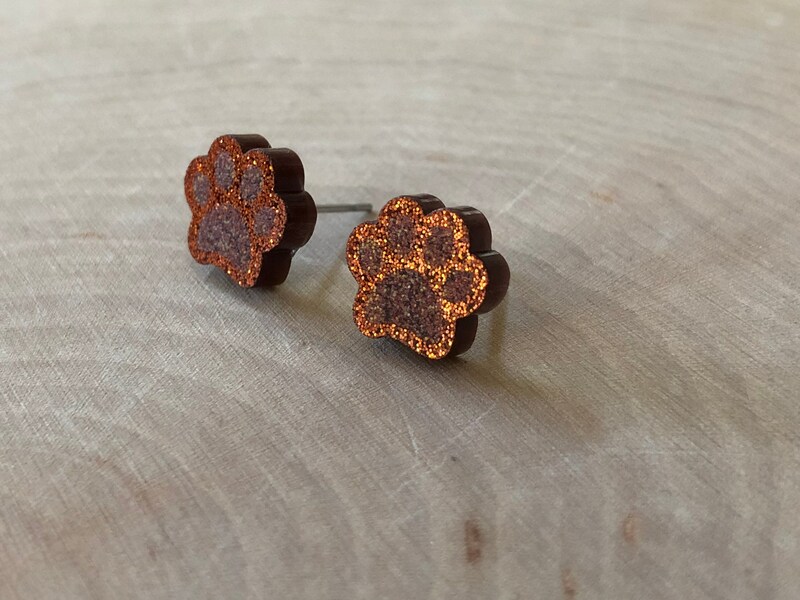 Hand made in Maine. 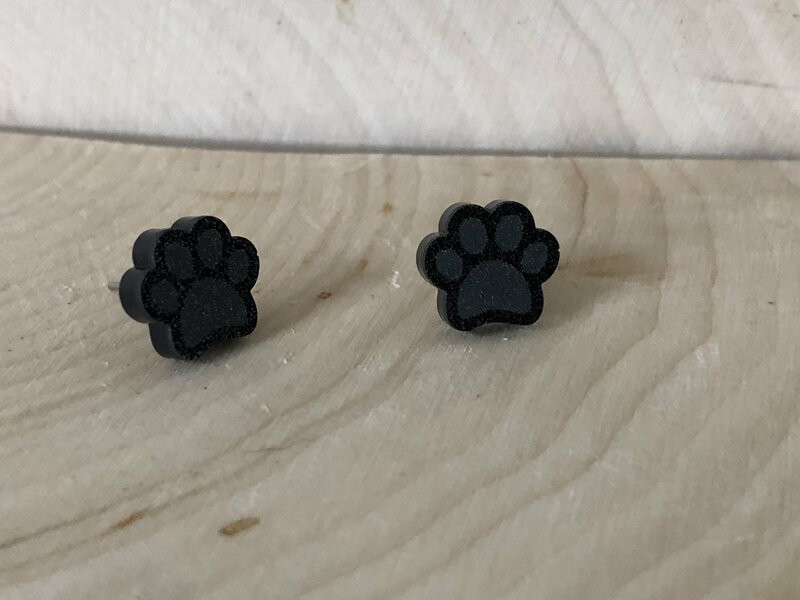 Comes in gift box with our logo on it.